Gozio’s experiential mobile wayfinding optimizes patient workflow with deep integration of Epic API. WakeMed to be first in N.C. to launch patented Gozio platform to help navigate WakeMed facilities and improve access to care and health resources. Gozio Health will develop a patient engagement app to support high-quality, accessible health care. Gartner Analysts Predict Bright Future for Hospital Mobile Wayfinding Platforms. Hospital-branded mobile wayfinding platforms are proven tools for improving the patient experience. 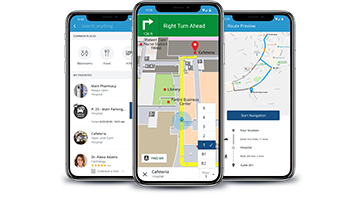 The Beryl Institute’s annual conference is an incredible opportunity for us to learn from patient experience experts and introduce health care professionals to how our mobile wayfinding platform provides best in class indoor navigation and improves patients’ access to care.